Kim Hollis: Maze Runner: The Scorch Trials earned $30.3 million this weekend. What do you think of this result? Edwin Davies: This is fine and in line with what we've seen from other non-Hunger Games, non-Twilight YA adaptations. It seems that unless the first film becomes a pop culture phenomenon that makes people sit up and take notice, then these films struggle to break out beyond the core audience of book readers. That pattern occurred here, where the first film did pretty well on a relatively low budget, but if you asked people to name the cast members or their characters, most would give blank stares (as opposed to what happened with Twilight and The Hunger Games, where even people who had never seen the films would probably be able to say Bella or Edward or Katniss). 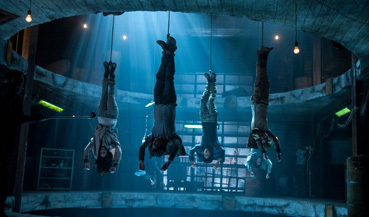 The one downside is that Scorch Trials cost twice as much as The Maze Runner, but it's also looking to make more overseas than the first film, so it'll come out okay in the end. Jason Barney: I think this opening is just fine, although you have to think the execs were hoping for a little bit larger opening. I don't mean to say this should have been a breakout, but with the nearly doubling of the budget, the studio was probably looking for a little expansion over the original. The money made in the states will approach the $100 million mark. That more than takes care of the $61 million dollar budget. If the studio was hoping for a modest expansion on the domestic front, they will be hoping the same for internationally. That will probably happen, but those numbers are a few weeks away. All in all this opening is just fine.